Skye, Armadale Castle, interior. General view of staircase stained glass window. Quatrefoil arms above and armed figure and further coat of arms below. Description Skye, Armadale Castle, interior. 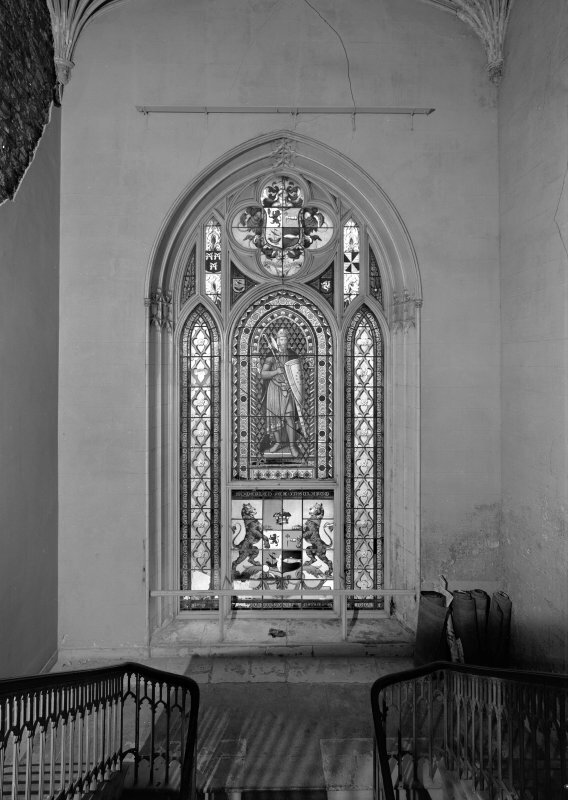 General view of staircase stained glass window. Quatrefoil arms above and armed figure and further coat of arms below. >>>> Item Level (SC 974042) Skye, Armadale Castle, interior. General view of staircase stained glass window. Quatrefoil arms above and armed figure and further coat of arms below.